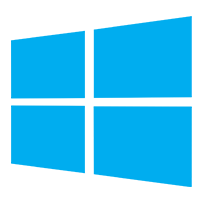 Windows Server is a group of operating systems designed by Microsoft that supports enterprise-level management, data storage, applications, and communications. Windows Server is a group of operating systems designed by Microsoft that supports enterprise-level management, data storage, applications, and communications. Previous versions of Windows Server have focused on stability, security, networking, and various improvements to the file system. Other improvements also have included improvements to deployment technologies, as well as increased hardware support. Microsoft has also created specialized SKUs of Windows Server that focus on the home and small business markets. Windows Server 2016 Windows Server 2016 is a server operating system developed by Microsoft concurrently with Windows 10. Windows Server 2016 has a variety of new features, including Active Directory Federation Service, Windows Defender, Remote Desktop Services, IIS 10 (Support for HTTP/2), Windows PowerShell 5.1and many more. Windows server 2012 is the successor of windows server 2008 R2. It comes with various features that were added or improved over Windows Server 2008 R2 such as an updated version of Hyper-V, an IP address management role, a new version of Windows Task Manager, and ReFS, a new file system.